In Wildlife Wars, Terry Grosz serves up fascinating stories - alternately hair-raising, hilarious, and heart-wrenching - from his 30-year struggle to protect wildlife in America. 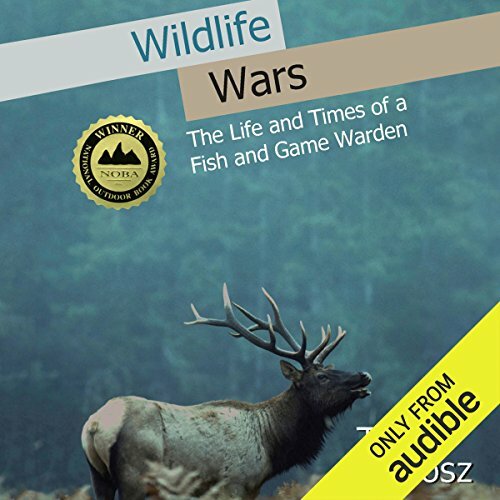 A natural storyteller, Grosz writes about the remarkable characters he met - on both sides of the law - as he matched wits with elk poachers, salmon snaggers, commercial-market duck hunters, and a host of other law-breakers. Best of all, though, these stories are so remarkably entertaining you won't want to put them down. Wildlife Wars is the winner of the 2000 National Outdoor Book Award, Nature and the Environment Category. ©1999 Terry Grosz (P)2013 Audible, Inc.
Couldn't finish this book. If you like listening to a guy praising himself, referencing his "impressive size no less than 200 times, and mistake writing tickets for "hunting his fellow man", then go for it. Not terrible stories, once you get past all the self-praise. Title should be: "reckless egomaniac tells lies"
What disappointed you about Wildlife Wars? 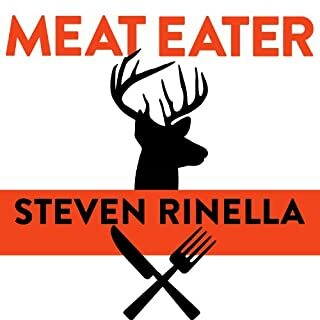 The author is an unabashed egomaniac and tells stories of his wreckless and overzealous pursuits while he views himself as a divine hunter of man. What a joke. What was most disappointing about Terry Grosz’s story? The fact that Terry can't get over himself. Ridiculous. What about Pete Simonelli’s performance did you like? Good narration. No complaints at all about the narrator. If you could play editor, what scene or scenes would you have cut from Wildlife Wars? I would have stuck to truthful stories and less talk about the author's perceived divinity and greatness. A glaring example of an overzealous, self righteous almost lawman putting multiple human lives in danger to satisfy his insatiable ego. This author would have been in prision if the stories he tells were true. Firing 30 times at unarmed kids running away isn't something to brag about. Idiot. 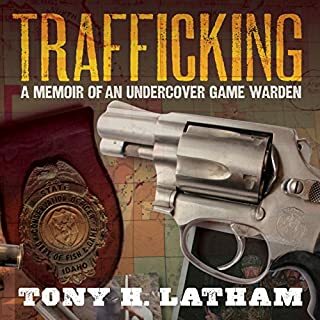 Overall the book was interesting and I learned a lot about the duties of fish and game enforcement officers, but I can't overemphasize how often the author mentioned his enormous size. It was disgusting. Literally hundreds of times he says how huge he is and is so proud of it that by the end of the book I was tired of hearing from him. If you can live with that it's worth a read. If you could sum up Wildlife Wars in three words, what would they be? What other book might you compare Wildlife Wars to and why? Although there is not a direct comparison that I have, it fits the outdoor genera with books like Into the Wild, The Monkey Wrench Gang, The Golden Spruce, A River Runs Through It. Have you listened to any of Pete Simonelli’s other performances before? How does this one compare? This is my first Pete Simonelli book. I did enjoy his reading. The secret life of those that protect our natural resources! I really did enjoy this read and have recommended it to friends and family. This book was a pleasure to listen to. I wish it went on forever. One of my favorites. I enjoyed this book, probably won't be one that I re-read. The book is a collection of memoir essays by a California game warden so it was an interesting perspective on conservation from someone completely dedicated to preserving nature but, as he describes himself "not exactly a tree-hugger." I don't think it's meant to be bombed right through since the stories can get a little repetitive, so I would suggest listening to a story or two between other books. The stories are fine, but the writing is atrocious. The stories should just have been told orally. The writing definitely takes away from the stories. This was a great account of the career of retired Fish and Game Warden Terry Grosz. 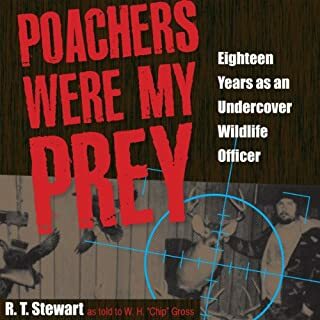 Many interesting tales of poachers and captures are included and it is sad to note the disappearing wildlife mentioned in the book. It is also fascinating noting that some of the poachers were police officers, who requested “professional courtesy” when caught. What they got were tickets, fines and loss of jobs. The life lessons were equally as interesting. Treating others the way you would like be treated, saved his life on more than one account. A fascinating read. 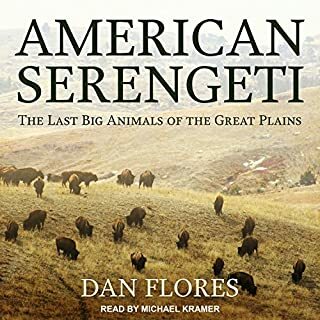 The audiobook was fantastic, expertly narrated by Pete Simonelli. I wasn’t sure what I was getting when I purchased this book. But is is a great bunch of stories about the people, land and animals that involved in wildlife protection on a daily basis. Terry is passionate about the mission. I am sorry to discover he died earlier this year. Thanks he took the time to write down his adventures. How many bloody times do you have to mention your weight? Every chapter apparently. That aside it's an interesting story about game wardening in the 1960's. Loved this book. Can't get enough of this type of listening. Well written and well read. A credit to both the writer and the narrator. 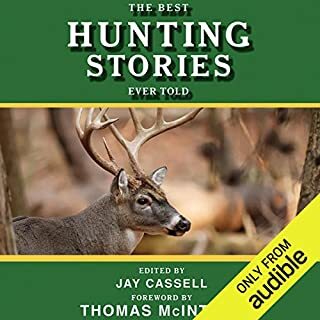 awesome audiobook, well worth it. An brilliant memoir of Terry Grosz' s war against poachers, and superbly narrated by Pete Simonelli. This is a must purchase. Well worth repeating this great book. 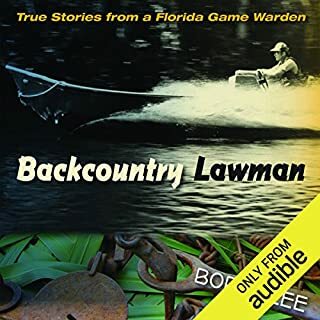 hopefully Pete Simonelli can narrate more of Terry's memoirs of being one of the best Game Wardens ever.